What better way to celebrate your birthday than with poems about being 50. Funny word play about how you are not yet over the hill or hitting the big 50 are just a few of the ribbings you can explore in these 50th birthday poems. 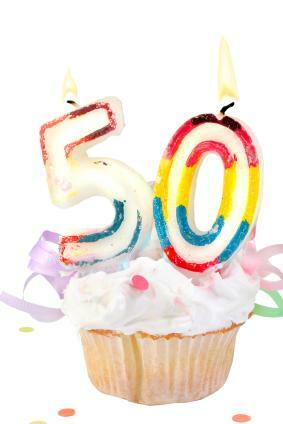 A poem about turning 50 can be light-hearted, funny, congratulatory, sentimental, or anything in between. Just think about the person you're celebrating and try to choose or write a poem that really fits his or her character. Yes, you're turning 50 this year. Turning 50 is not so bad, it seems. Take a look back on all you've achieved so far. By standing beside you through laughter and tears. Turning 50 is really quite good, it appears. F is for how fabulous everyone thinks you are. I is for how interesting all your experiences have made you. F is also for the fun you bring into everyone's lives. T is for how the tender way you show people that you care. Y is for just being you, the person that everyone adores. To anyone celebrating a 50th birthday. Being 50 is great, you're not really so old. And if your hand's a little shaky, it's still nice enough to hold. So your hair's a little thinner, don't waste time worrying about that. So your waist is a bit thicker, you're just more cuddly with a little fat. You can always buy more teeth if you really feel the need. 'Cause age is just a number, and it's all inside your head. So embrace the fact you're 50 and celebrate with glee. That you shared all through the years. That we've enjoyed over the years. Just letting us know you, and the love you share. You still have a lot of life left to live. Take time to see the sights and travel. While you're above, not beneath, the gravel. Once you've selected a poem or written something original of your own, it's time to decide how to present it to the 50th birthday honoree. You can print out your poem on decorative paper and present it as a scroll, in a birthday card, or nicely framed for a keepsake. If you like, you can even memorize it and recite it at a party as part of your gift. 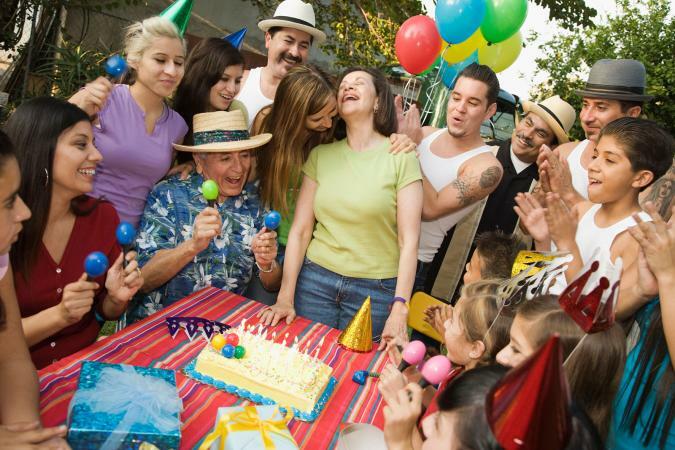 The guest of honor is sure to appreciate that you took the time to create a special birthday present that is heartfelt and unique.